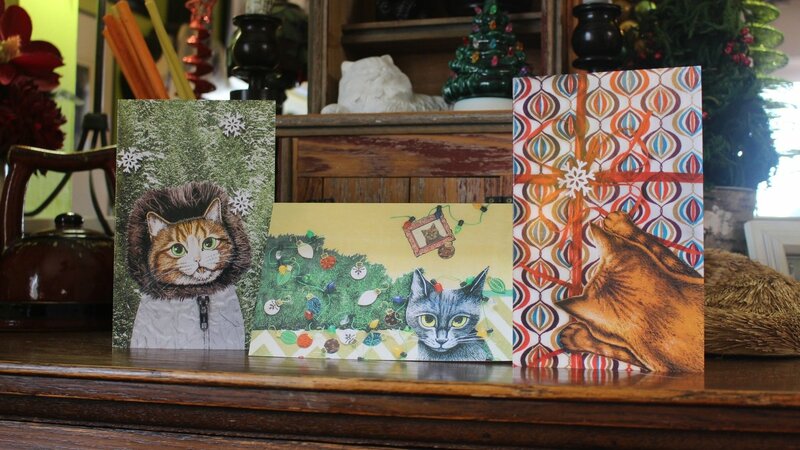 Say Merry Cat-mas in style this year with this limited set of greeting cards! The set of 12 cards features 4 of each of the 3 images. Inside of each card with the message "Sending love & light to your holiday". Envelopes are included.